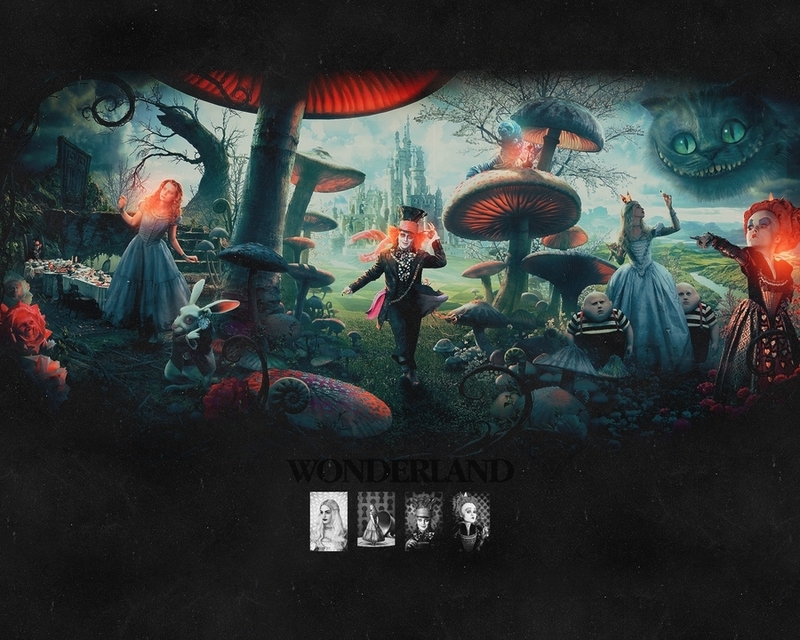 爱丽丝梦游仙境. . HD Wallpaper and background images in the 爱丽丝梦游仙境（2010） club tagged: alice in wonderland tim burton alice kingsley mad hatter white queen red queen cheshire cat wallpaper. This 爱丽丝梦游仙境（2010） wallpaper might contain 动漫, 漫画书, 漫画, 卡通, and 漫画卡通.